Peugeot CD changer package includes the Sony CDX-T69 CD changer and compatible Peugeot interface adaptor. This allows you to add a CD changer to your vehicle at a fraction of the dealers� price. The CDX-T69 is one of the smallest CD changers available on the market. It has the capability to play your home-burned CD-R's and CD-RW's as well as original CDs, and the compact design also allows for multiple mounting angles. This package is not compatible with BMW models that have an 8 or 14 pin round pre-wired CD lead located in the boot. However check out the FM Universal Changers, CD Changer Packages or CD and MP3 Players as these are a superb alternative. See Product Navigation Menu. 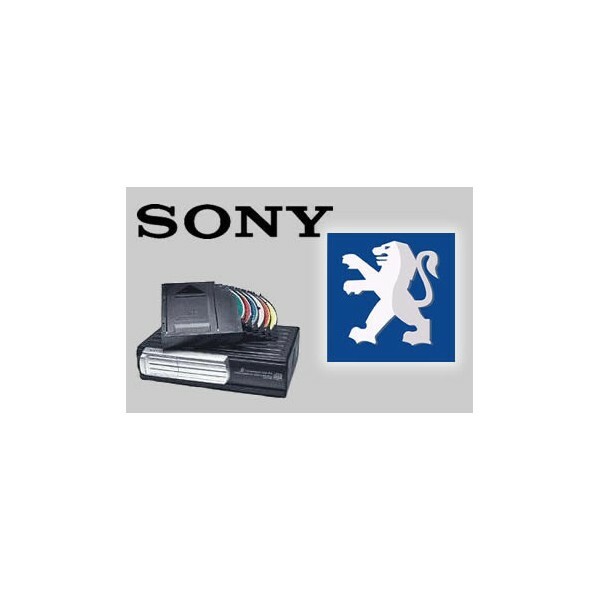 https://www.caraudiocentre.co.uk/product_m-sony-ctapgs005-cdx-t69_p-22529.htm 22529 Peugeot CD Changer Kit - 406 / 806 (1996 - 1999) https://www.caraudiocentre.co.uk/productimages/full/sony-to-peugeot-cd-changer-kit.jpg 154.99 GBP Discontinued Peugeot CD changer package includes the Sony CDX-T69 CD changer and compatible Peugeot interface adaptor. This allows you to add a CD changer to your vehicle at a fraction of the dealers� price.